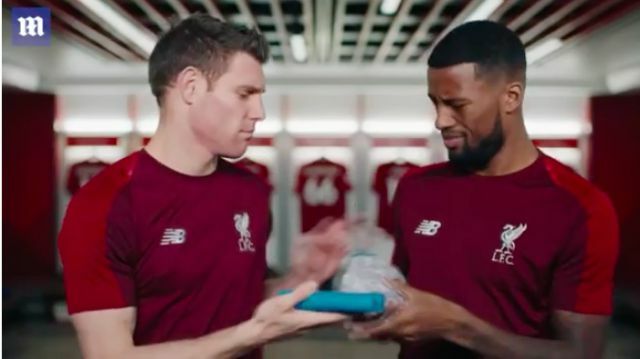 Over the past couple of years, Liverpool players have regularly appeared in Nivea adverts, due to the club’s commercial partnership with the skincare giants! The latest has been released, which stars midfield duo Gini Wijnaldum and James Milner, manager Jurgen Klopp and Trent Alexander-Arnold – who seems an odd choice to shave a beard off considering he hasn’t been growing one for very long! There’s not too many funny moments in this one, sadly – but we did enjoy Klopp pinching Trent’s freshly shaven face as they enter the Anfield pitch!